I work in series to learn a form’s needs and possibilities, its potential and limits in size, scale, weight, and thickness - and how these dimensions interact. Through repetition with variation I produce bodies of work in which individual pieces become components of a whole. In a kiln fueled by wood, flying ash clings to the surface of each piece, fluxing clay to form a glaze. 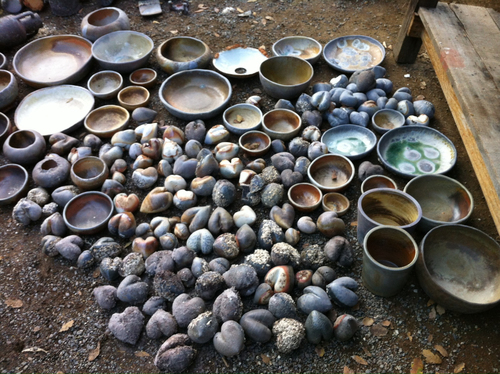 Experience teaches me what clays to use and how to position each piece in the kiln. Each firing is different; the results are determined by the wood, the heat, and the path of the ash. I try to capture the specific properties and characteristics of the clay and firing environment in each of my pieces, letting it become a record of how it was made.